May is a particularly busy month in Toronto. It seems as if the city is finally ready to bust out of a collective post-winter rut and really get out and enjoy what Toronto has to offer. And there are lots of cool things on the go in May. From music and food fests, to art, photography and beer, there’s something for everyone happening this month. Here are 10 of the best May events in Toronto. May is your chance to check out the world’s largest annual photography event in the form of Scotiabank Contact Photography Festival. This year’s event also marks the 20th anniversary of the festival, which features a month of photo exhibits and public installations all across Toronto and the GTA. This year’s fest will bring together over 1500 artists and photographers, both local and internationally based that you can see in over 200 unique and exciting exhibitions and events. Canada’s biggest new music festival is back for its 34th year which means the chance to choose from a whopping 1000 artists taking the stage at 60 venues across Toronto. Canadian Music Week isn’t just about music though – awards will be given out, including the 16th annual INDIES, and there’s also a film festival taking place April 29 to May 8 featuring music-focused films both new and old, as well as a comedy festival also running from May 2 to 8. Parkdale’s annual spring sidewalk festival is happening early in the month and it’s a great chance to get to know a new neighbourhood if you’re not familiar with Parkdale, or rediscover what it has to offer if you haven’t been in a while. Parkdale is filled with an eclectic selection of shops, restaurants, bars and galleries and the festival makes it easy to explore them all. Plus there will be deals to be found at various stores, food samples to try, entertainment, face painting, a kids’ zone and cotton candy. 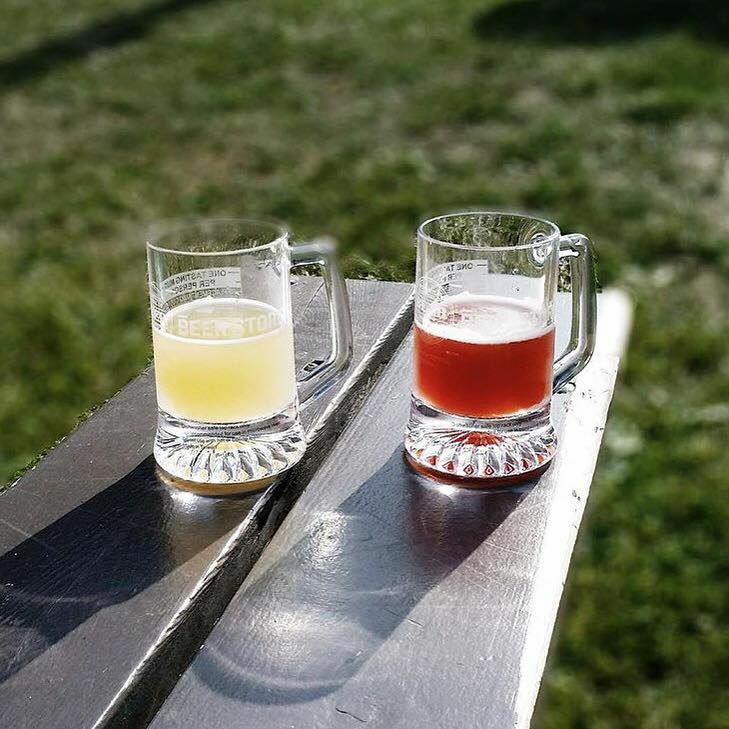 Summer isn’t the only time for enjoying beer-focused festivals – Toronto's Festival of Beer Spring Sessions offers the chance to taste a variety of beer and food over the Victoria Day long weekend. Some of the participating breweries this year include Goose Island, Steam Whistle, All or Nothing Brewhouse, Beau’s and Big Rig Brewery among others. The $30 price of admission gets you five sample tickets and a festival mug. Food comes courtesy of Smoke’s Poutinerie, Oyster Boy, Chimney Stax, Tiny Tom Donuts and The Pie Commission with more to be announced. The Distillery District will be hosting Artfest Toronto May 21 to 23 this spring (there’s also one happening September 2-5), which will be the 10th year for the free event celebrating art in all its forms. See and shop the work of 75 artists and artisans from across Canada which includes everything from jewellery and fashion, to glass, wood, pottery and painting. The fest will also feature live music and gourmet food. The Burroughs Building on Queen Street will play host to CraveTO’s latest event happening May 27. Local DJs Jamie Kidd and Nature of Music will be providing the soundtrack as you sample bites and sips from 14 Toronto food and drink creators. The event space has a rooftop patio so assuming it’s a nice evening, you can enjoy the views across Toronto as you eat, drink, dance and mingle. May 28 offers another chance for music fans to get their fix this spring with the CBC Music Festival happening at Echo Beach. This year’s all-Canadian lineup is stacked with local talent and includes Tokyo Police Club, the New Pornographers, Hey Rosetta!, Whitehorse, Rich Terfry, Tanya Tagaq, Alvvays and more. A full day of music isn’t the only thing on offer – there will be a craft and flea market to shop, a food truck area for when you get hungry and a kids’ area with crafts and activities for the younger set (kids 12 and under get in free). The end of May once again gives Torontonians the chance to take a look inside some the city’s most historic, unique and noteworthy buildings with Doors Open. For two days get free access to 130 buildings that are either culturally, historically or socially significant to the city. Oftentimes, these are buildings the public doesn’t normally have access or at least doesn’t have this much access to. The theme of this year’s Doors Open is “Reused, Revisited and Revised” and will look at the way buildings have been adapted and repurposed throughout Toronto’s history. This year will also be the first to feature a keynote speaker - designer Karim Rashid. Have a dog? Just love to be around dogs? You’ll want to get yourself to Woofstock happening May 28 and 29 in Woodbine Park. The free event is the largest outdoor festival for dogs in North America where you can hang out with your pooch, checking out vendors selling everything from toys and snacks to dog fashion. And if you don’t have your own dog but just really, really like dogs, this is a great chance of seeing a ton of pups and maybe even getting to play with a few. Going strong for more than two decades, the Inside Out LGTB Film Festival has been bringing some of the best and most thought-provoking film created by and about lesbian, gay, bisexual and trans (LGBT) people. It’s now one of the biggest festivals of its kind in the world and takes place over 11 days of screenings where over 200 films and videos will be showcased. In addition to what’s on screen, there will be parties, panel discussions, art installations and artists talks to check out. What Is the Weather Like in Toronto in May?